Contemporary Italian calf-backed wooden boards, spine with blind-tooled diapered design and floral tools, two leather and embossed brass clasps (lacking two), foot of spine renewed. 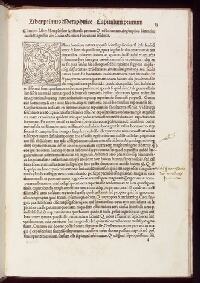 189 of 508 leaves; a number of woodcut initials throughout; running titles; printer's device on 2Q6r; some contemporary marginalia. 1. Pillone Library. 2. Sir Thomas Brooke, Armitage Bridge House. 3. Pierre Berès.